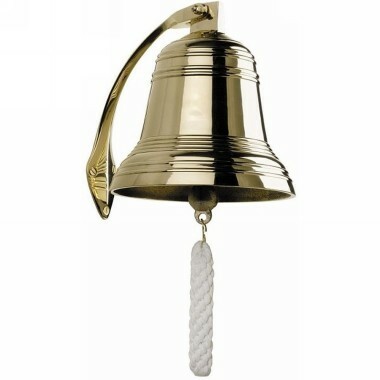 These solid brass ship's bell were used years ago to change the shift of the crew on the ship. Made of heavy solid brass, handmade and sand-cast. The chunky hand knotted lanyard offers years of use. A true nautical heirloom offering clear and solid sounds.